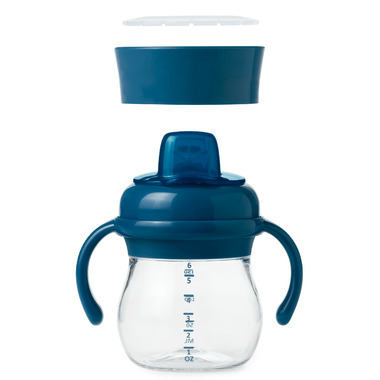 OXO Tot Transitions Soft Spout Sippy Cup Set has a unique, almond-shaped spout that opens easily as soon as your little one’s lips touch it, and is specially designed to make it an easy transition from bottles or breast feeding. The sturdy cap covers the silicone spout to keep it clean in diaper bags, and prevents leaking. 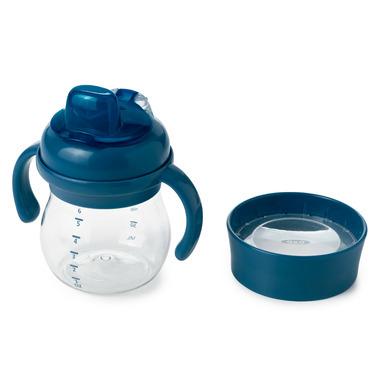 The Set also includes a Training Lid to mimic grown-up cups, and when your big kid is ready, the disk can be removed to be used as an open cup.